Global Military Avionics Market is currently valued at USD 32.77 Billion in 2018 and is expected to experience a growth rate of about 2% and grow to USD 37.90 Billion in 2025. The cumulative market for Global Military Avionics is estimated at around USD 280.65 Billion, nearly 30% of the cumulative market accounts to one of the sub segments. The military avionics market is segmented into Navigation, Communication, Sensors, Mission Systems and Display & Control. Mission systems accounts to majority of the market. 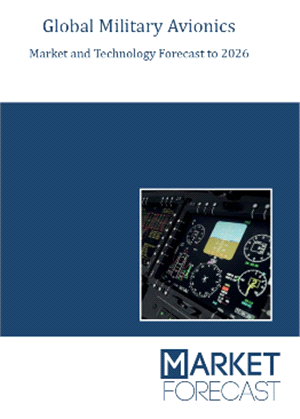 The report “Global Military Avionics Market Forecast to 2026” provides two years historical data and the forecast until 2026. The market forecast section provides break up of forecast which is classified according to fitment, sub segments and platform. 13.1 Aselsan Elektronik Sanayi ve Ticaret A.S.
Table 95: SWOT, Honeywell International Inc.
Table 97: SWOT, Indra Sistemas S.A.
Table 101: SWOT, Moog Inc.
Table 123: SWOT Boeing Co.